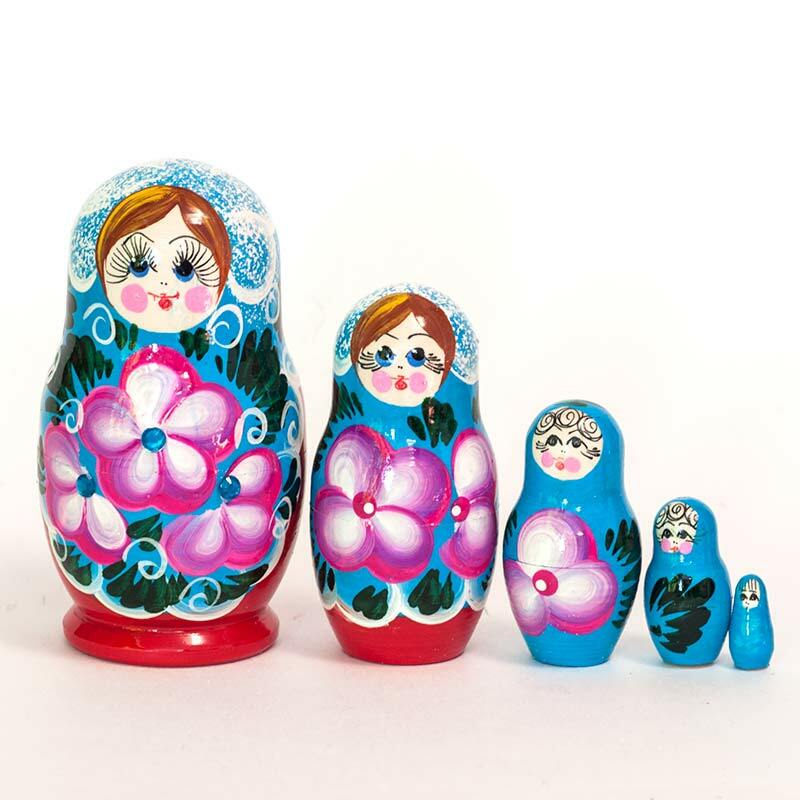 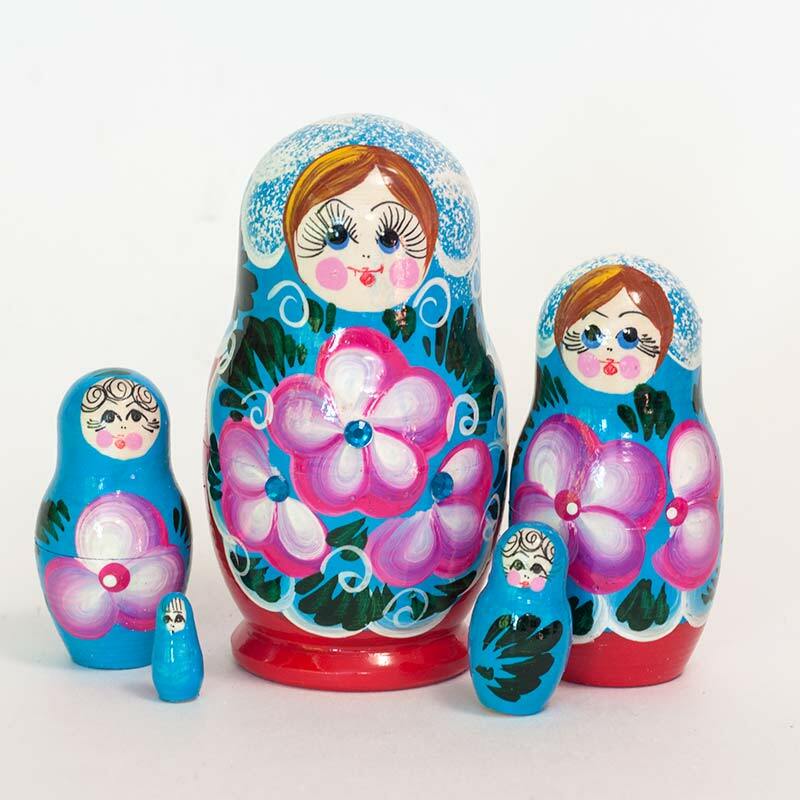 Matryoshka Blue with Crystals is a 5 pieces set of nesting dolls which is painted in typical Sergiev Posad floral style. 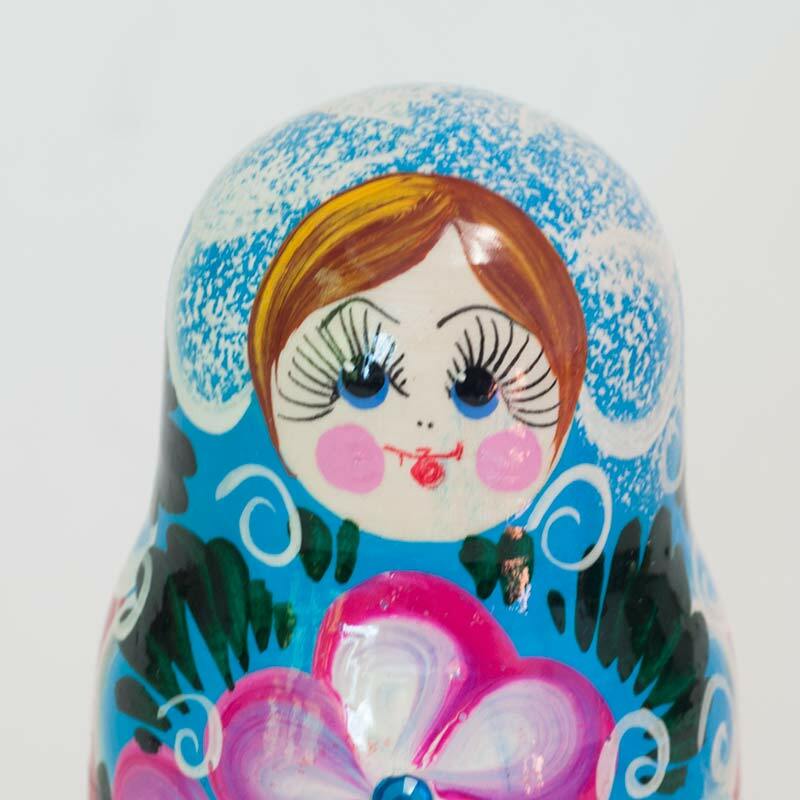 The artist used crystals to decorate flowers on the first nesting dolls. 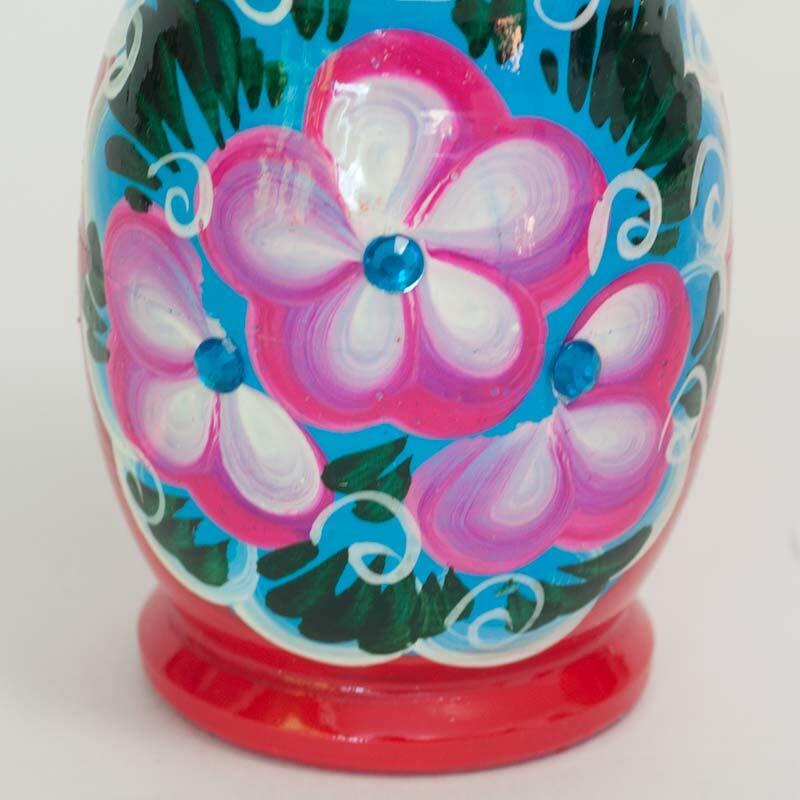 The nesting doll is well decorated and painted with non toxic tempera paints. 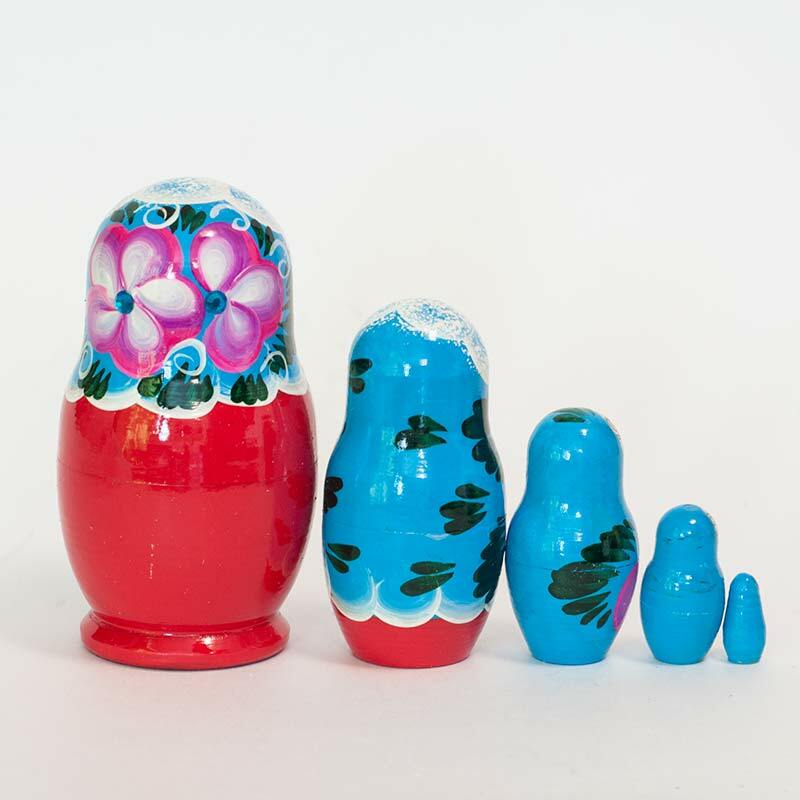 The nesting dolls is finished with glossy oil lacquer.